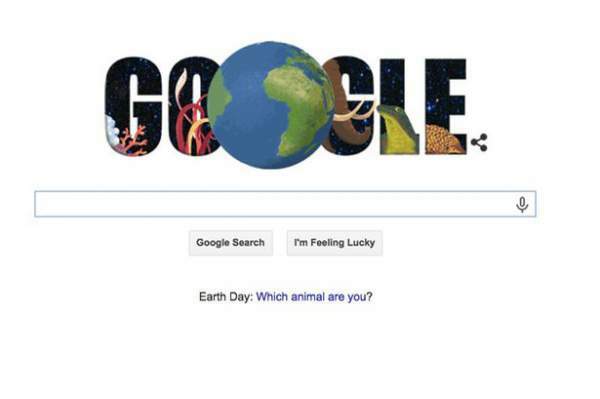 Earth Day 2016 Quiz: Last year, Google came out with an idea of creating a quiz for the day on the occasion of Earth Day. Google made a colorful doodle using creature theme animation. And to all surprise and expectations, it became a hit with the internet users. Millions of people tried it several times on April 22, 2015. It was a personality test with a rotating Earth and an array of animals. People were able to learn new things and discovered creature most closely which could represent them. Users learned about the dear pals of nature. Taken from the Mirror Online, below is one of its won Earth Day quiz for the readers. You can test your knowledge based on the annual celebration and environmental event. Read: Santa Banta Pvt Ltd review. This occasion is celebrated by over one billion people across the globe. Its main objective is to raise awareness and encourage people worldwide to care for the planet. Scroll down and get the quiz below. Answers are given at the end. Q1. Which of these is the global coordinator for Earth Day? A. The Earth Day Network. B. The Earth Day Group. C. The Earth Day Organization. Q2. When was the very first Earth Day held? Q3. Which Hollywood star hosted the Earth Day in 2000? Q4. Which country first celebrate the event? Q5. Who founded the Earth Day? Q6. Which prize did the founder receive in recognition of his work? Q7. How many trees were planted in Afghanistan in 2011 to mark the Earth Day? Q8. The Paris Agreement aims to keep global temperature rises to ‘well below’ what? Q9. Which of these countries consumes the most energy? Q10. And which of the three produces the most energy? Q11. On April 22, 2012, more than 100,000 people rode bikes to which country to reduce CO2 emissions? Q12. Who created the Earth Day flag? Answers are as follows. A A C B C A C B A A B C.
This year too Earth Day 2016 Quiz has been arranged by google. check it out yourself.